The Journal of Supply Chain Management publishes research papers in supply chain management studies and devoted to the advancement of knowledge in the research area. It covers supply chains, inventory management, transportation, distribution and logistics management. 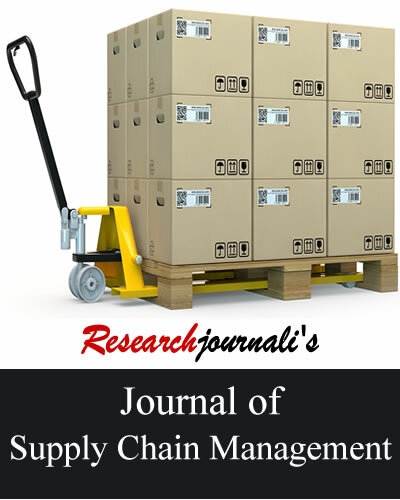 Researchjournali's Journal Of Supply Chain Management (RJOSCM) publishes research papers in supply chain management studies and devoted to the advancement of knowledge in the research area. It covers supply chains, inventory management, transportation, distribution and logistics management. The journal provides a forum for publication of high quality research papers and emphasizes openness and flexibility. The published research papers focus on understanding of theory and practice of business studies interest to practitioners and scholars across the globe.